I'm sure I've posted pictures of my beloved Starbucks coffee, but I don't think I've posted one this year. I make my coffee with 2/3 decaf and 1/3 full test coffee from Starbucks. 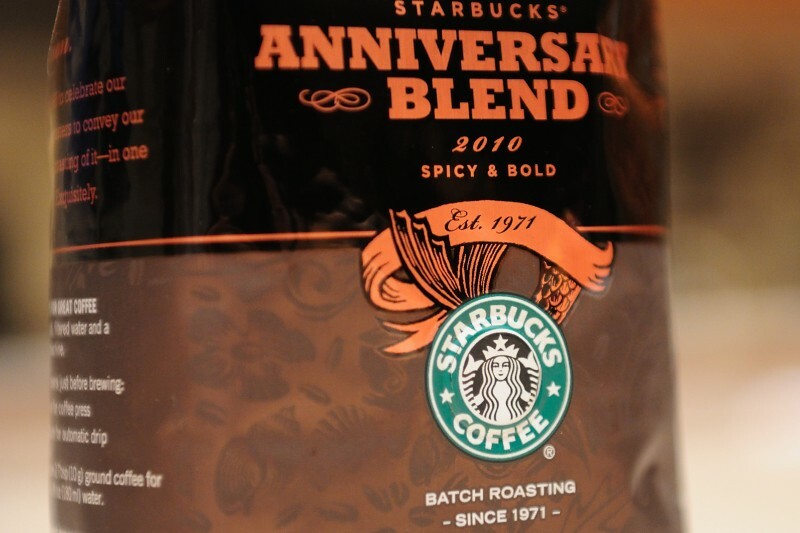 I like to choose Starbucks' "seasonal" coffee and this fall I found this 25th Anniversary blend. I snatched up the last bag in the local store and haven't seen it since. It's a perfect match for the Decaf Sumatra I'm blending it with, and that Pumpkin Spice syrup I'm using. Fall in a cup!